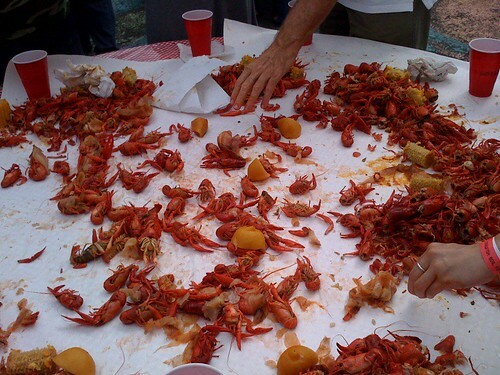 Upcoming Event: All You Can Eat Crawfish! Did this last year (before I started blogging), and it is worth your money! 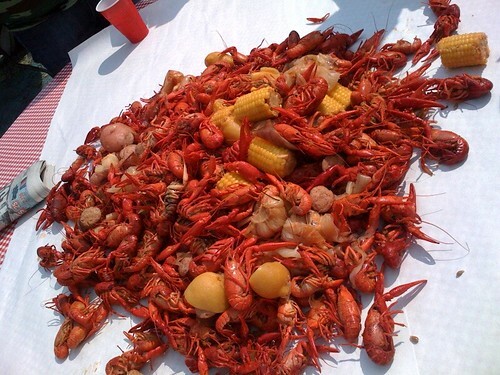 Huge piles of spiced crawfish, potatoes, corn on the cob, onions, garlic, lemons, mushrooms, AND sausage! 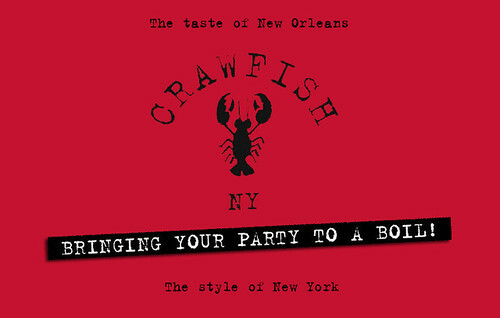 For more information and tickets go to www.crawfishny.orghttp://www.crawfishny.org/. Crawfish Boil For A Song benefits the organization, Kids Need A Melody, dedicated to providing free music classes, instruments and concerts for young children in need. First batch of 4 shared amongst at least 8 of us. Everyone's individual pile of conquest!